WEST SACRAMENTO — A UPS employee was hit and killed by a UPS big rig at the company’s distribution hub in West Sacramento, police said on Jan. 8. The incident happened about 9 p.m. at the UPS parking lot off Harbor Boulevard and Del Monte Street. The employee, 47-year-old Kie Matsuda of Folsom, who had been with the company for 28 years, was hit by the vehicle and became stuck underneath the truck. He was pulled out from under the big rig and taken to UC Davis Medical Center with significant injuries, but later died at the hospital, West Sacramento police said. The UPS big rig driver cooperated with investigators and was not cited. 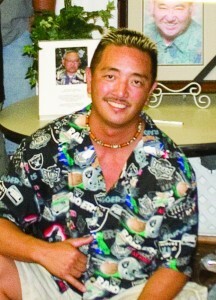 Matsuda was a longtime Nisei AA baseball player for the Florin Athletic Club. Friends have been posting remembrances on Matsuda’s Facebook page. Cal OSHA was on the scene Friday to investigate the incident. The family has set up a GoFundMe.com page to raise money for medical, funeral, cremation and coroner bills along with other expenses. As of Wednesday afternoon, more than $10,500 had been raised toward the $20,000 goal. “Kie was the most wonderful man who always smiled and cracked jokes with everyone,” the family wrote. “Kie was never shy and wouldn’t be afraid to make new friends. Kie touched the hearts of many and was known by so many people. He was very outgoing and helpful. He would help anyone in need in a heartbeat. “Kie was a great father to his three children David, Kimiyko, and Takato. He raised them to be strong individuals who are very responsible and motivated. He taught them to be who they wanted to be and to never be afraid to reach their goals. Kie always supported each of his kids with school, sports, careers, and anything that was important to them. “Thank you so much for all of your love and support. It is with deepest gratitude for all of the loving support and contributions in assisting Kie’s family with lifting this financial burden and allowing the family to grieve.